This painting has had several lives. Originally a figurative piece, finally ended with what I had called “Tulips with Religious Effect” as a working title. As with others, in developing this piece, I was thinking about Renaissance artists and how they created skies that exploded with energy. Trinity seemed like the best name for it. 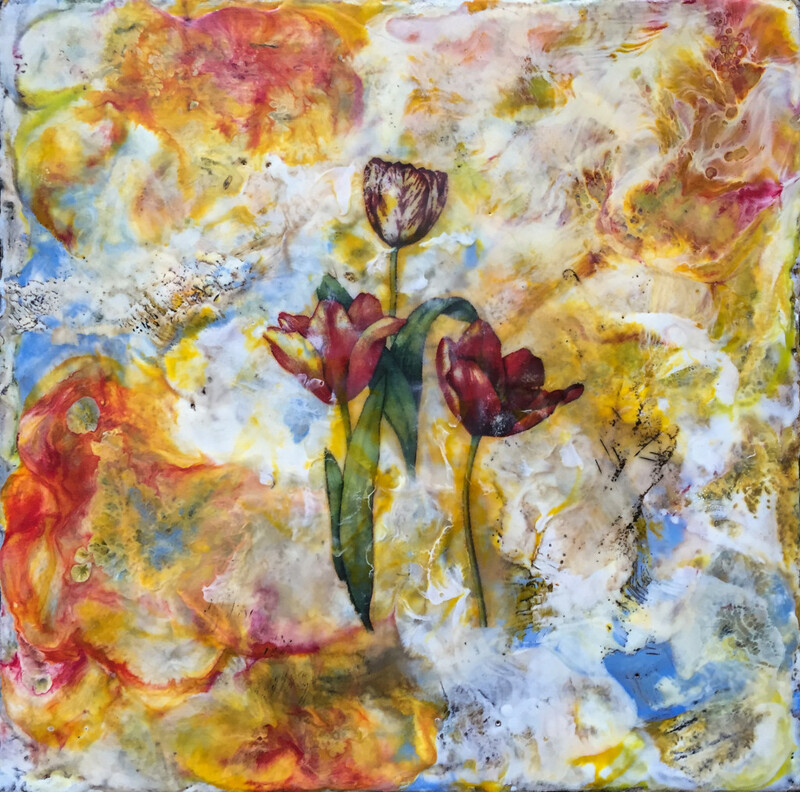 “Trinity”is 12″ x 12” Encaustic Mixed Media on a cradled birch panel. This piece has been sold.